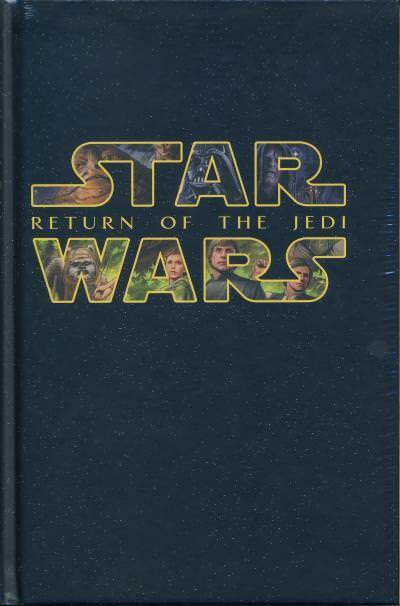 The 3rd set of 12 covers relive the moments our heroes are pulled into the Death Star aboard the Millennium Falcon to the first onscreen lightsaber battle! 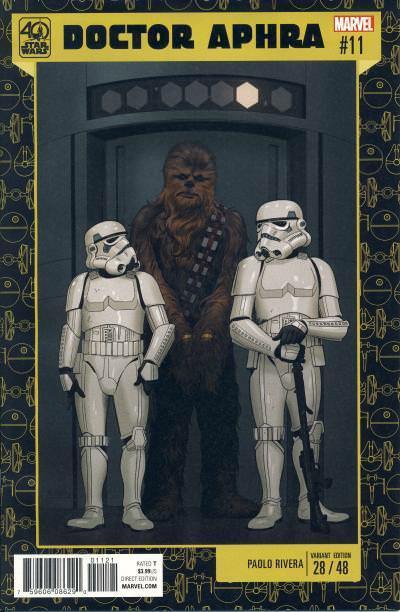 These covers do a terrific job of capturing iconic moments from the movie. 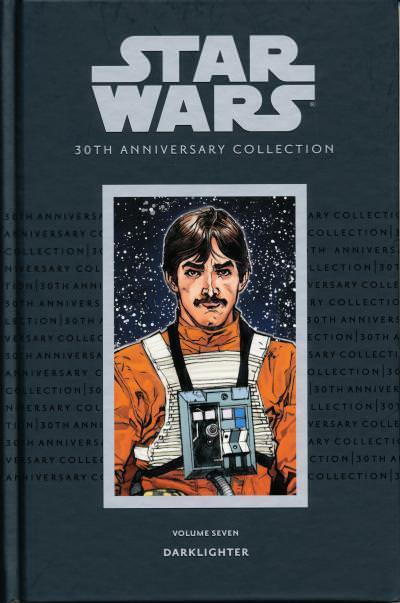 The seventh volume in the Star Wars 30th Anniversary Collection from Dark Horse reprints two story arcs from the Star Wars: Empire title, the 4-part Darklighter and the 2-part The Short, Happy Life of Roons Sewell. The volume takes its name from the 1st story arc. 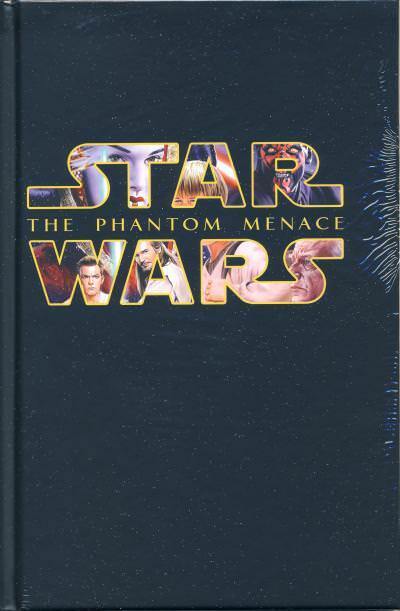 Like the other volumes in this series, it has a matte black cover with the text in silver. 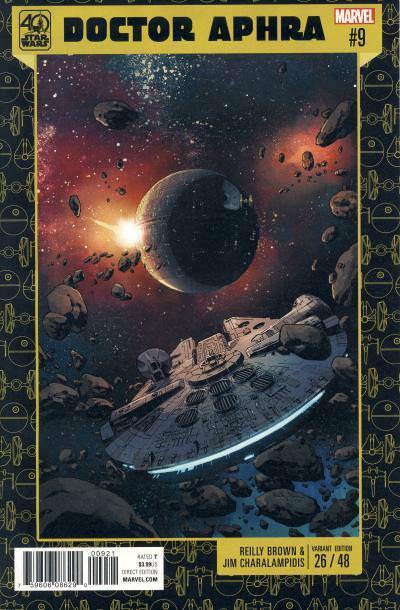 Framed in a silver box in the center of the cover is a portion of the cover art from Empire #12 featuring Biggs Darklighter. 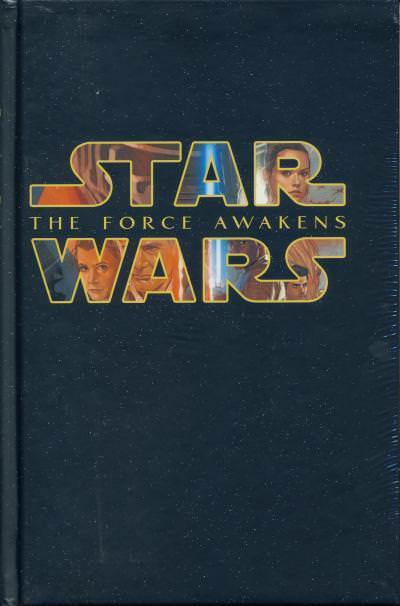 This volume retailed for $19.95 and was limited to initial orders. 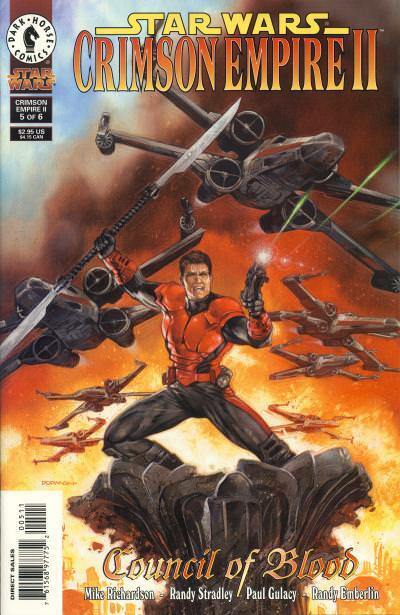 Darklighter is told in Empire #8, 9, 12, and 15 and is written by Paul Chadwick who is best known for his creator-owned character Concrete. 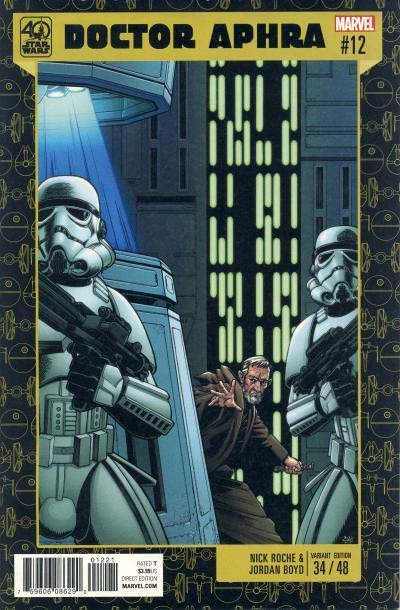 The art is provided by Doug Wheatley whose artwork is as gorgeous in this story as it is in the Star Wars: Dark Times series. 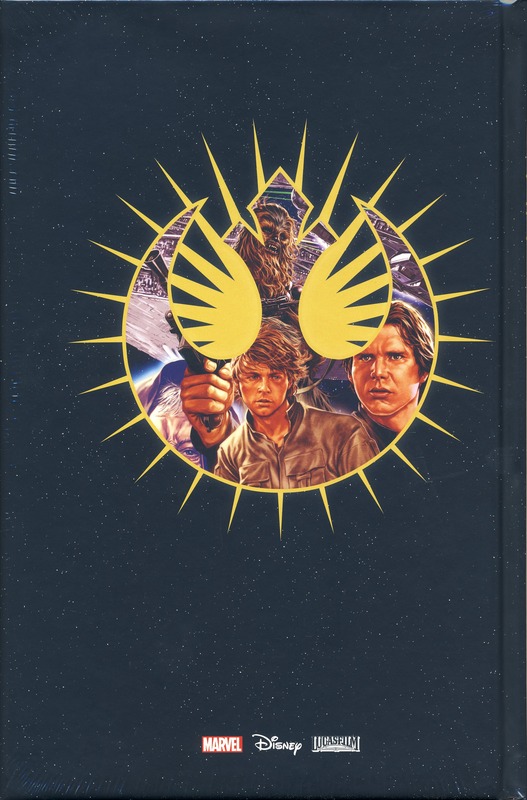 The tale fills in the events surrounding the time Biggs, Luke Skywalker's best friend from Tatooine, leaves for the academy until his tragic death in the fateful trench run on the Death Star. 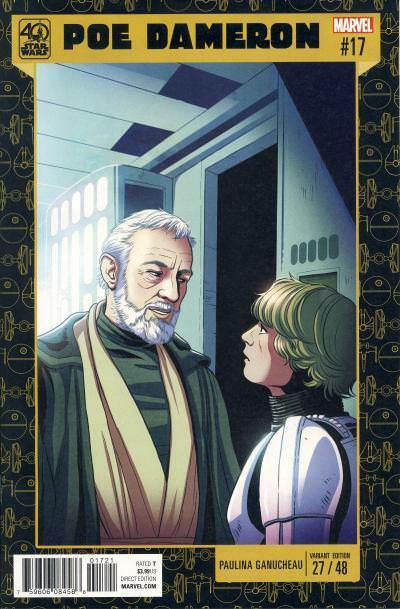 In addition to turning Biggs into a hero, this story naturally intertwines with the events from the movie and many notable characters make an appearance, none more important than Hobbie Klivian who is initially despised by Biggs but quickly becomes one of Biggs's friends when they both defect from the Empire to the Rebellion. If you have never read Darklighter, I highly recommend it. 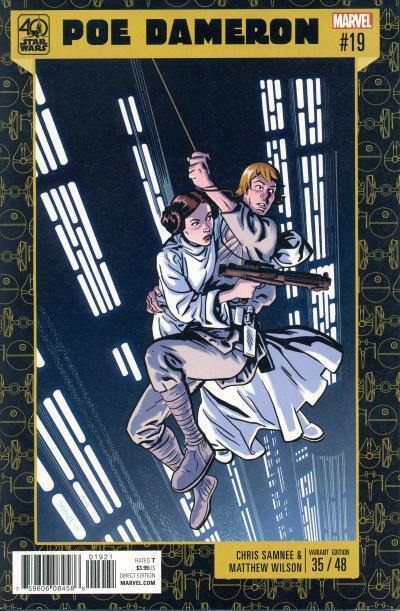 It is one of the better story arcs published by Dark Horse. 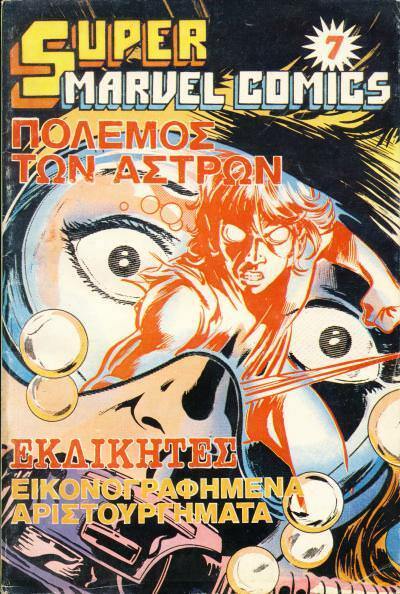 As is common in Europe, Kabanas Hellas issues that went unsold were collected in a title named Super Marvel Comics. 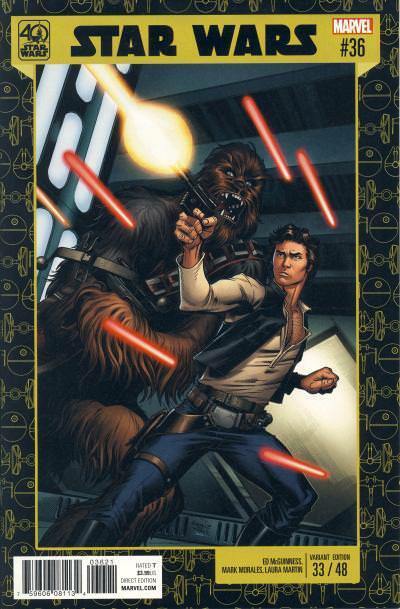 Super Marvel Comics #7 has the same cover as the U.S. Star Wars #75. 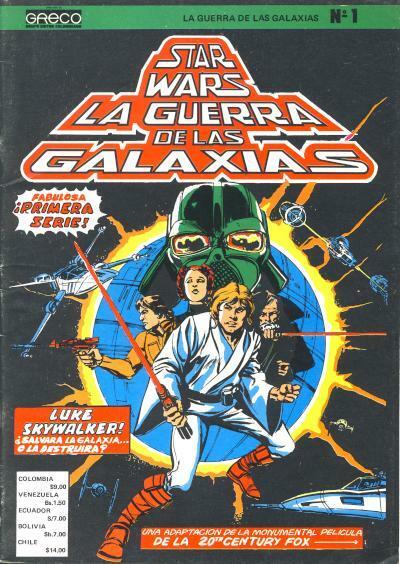 Inside are four Kabanas Hellas issues, two of which are from the Ο Πόλεμος των Άστρων or Star Wars title. Ο Πόλεμος των Άστρων #7 and 9 are included in this collection. None of the issues have the original covers attached. Because they contain four issues of comics that were the equivalent of two U.S. comics, these collections are fairly thick. Each issue of the Super Marvel Comics title seem to contain completely random issues from Kabanas Hellas' Marvel line of comics. Without seeing several copies of the same collection, it would be hard for me to say if every copy of Super Marvel Comics #7 contains the same four issues inside. 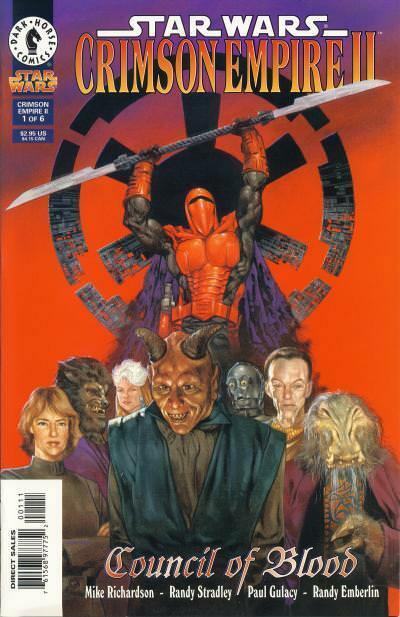 Having killed Carnor Jax in the first mini-series, Kir Kanos returns in another 6-issue mini-series, Crimson Empire II - Council of Blood. This time his sights are set on eliminating members of the Imperial Interim Ruling Council for their part in Emperor Palpatine's death. 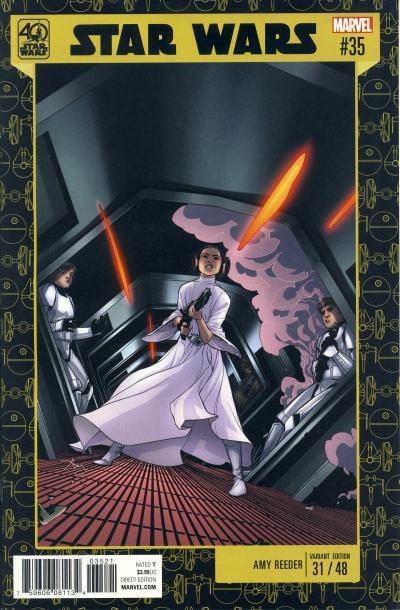 Several characters from the original series return, including New Republic's Mirith Sinn who seeks revenge against Kir Kanos for killing her Trandoshan friend Sish Sadeet and Mirith's subordinate Massimo. 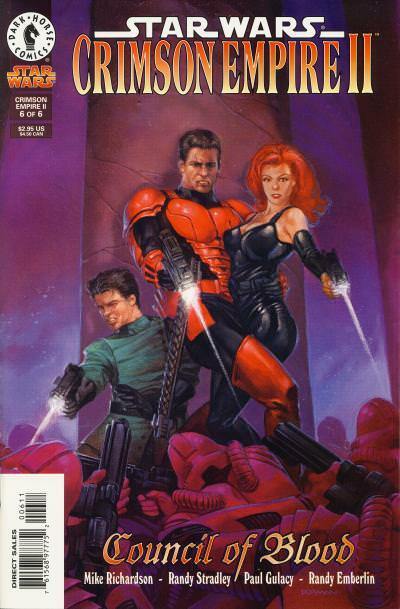 For the first three issues of the series, Kir Kanos is disguised as the bounty Hunter Kenix Kil, but he does don his familiar crimson red uniform in the fourth issue where he rescues Mirith from the Zanibar on the planet Xo. 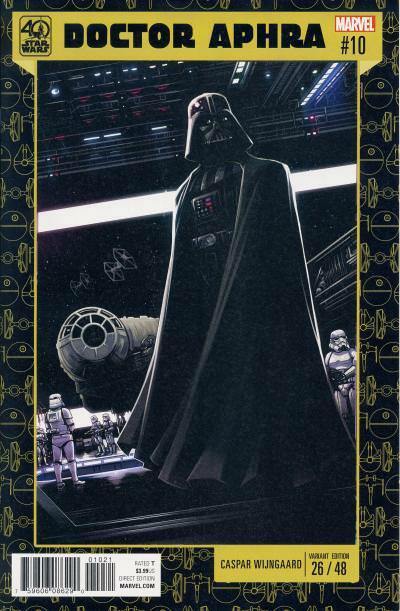 Much of the series focuses on the machinations of Council members vying for influence over the remains of the Empire. 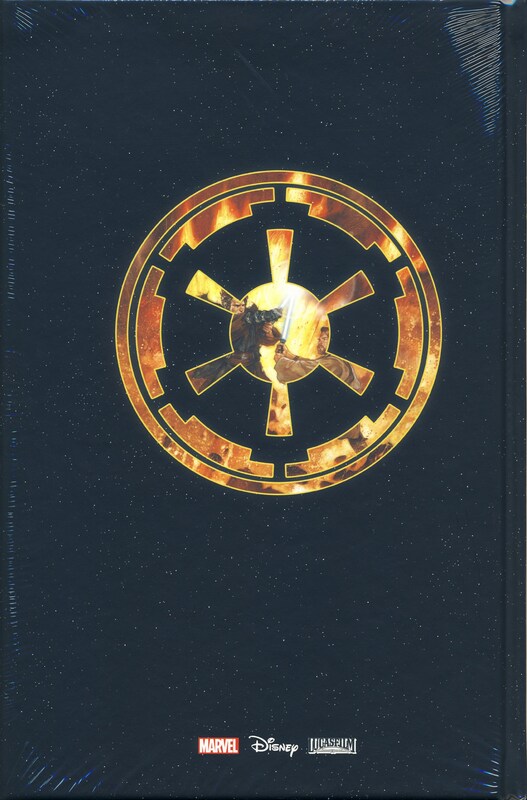 This is a much different Empire than the one Palpatine ruled; due to the success of the New Republic's campaign against the Imperials, the once xenophobic Empire now has alien species members and it is a collaboration of Imperial Warlords rather than a central government that defines the power structure. 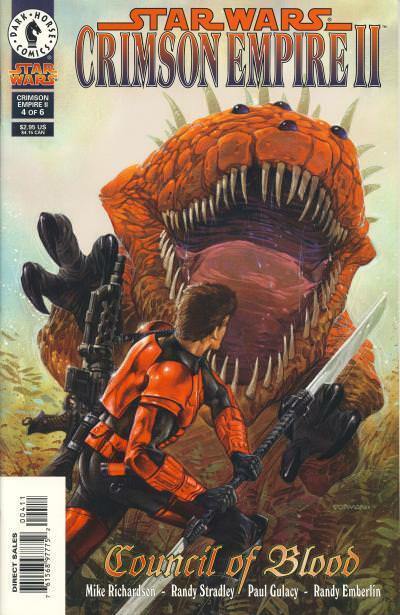 Perhaps the most significant event is this mini-series are the seeds planted in the story starting with the first issue. A character only shown in shadows named Nom Anor is manipulating Council member Xandel Carivus. 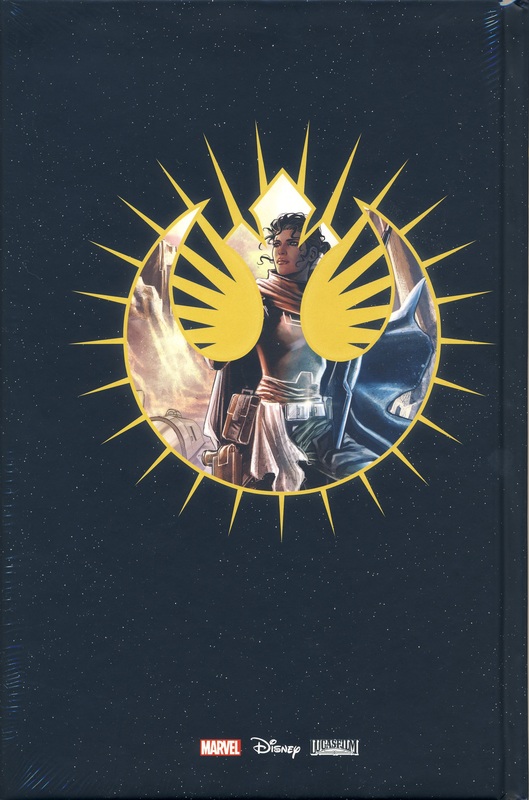 Readers of the New Jedi Order from Del Rey will recognize Nom Anor as a reoccurring character in that series of novels. Nom Anor is an advance scout of the Yuuzhan Vong, intent on sowing discontent in the galaxy, making it easier for his species to invade. 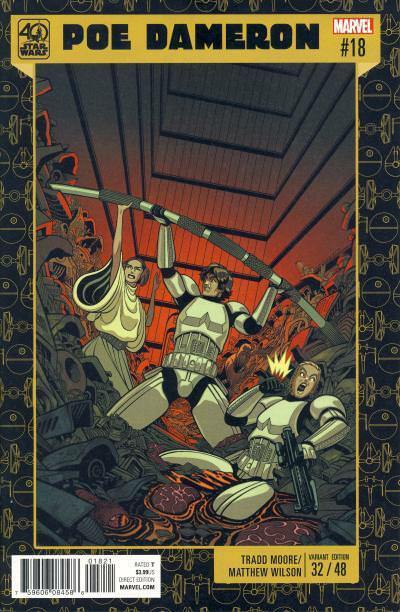 Interestingly, Dark Horse initiated the idea of the alien invasion, but Lucasfilm chose Del Rey to execute the massive story that unfolded over four years. 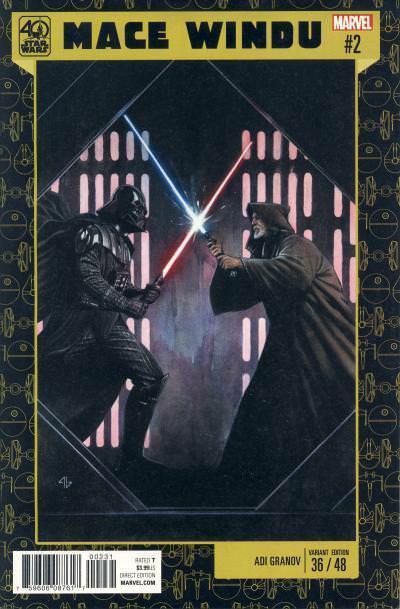 Dave Dorman provides the painted covers for this series. 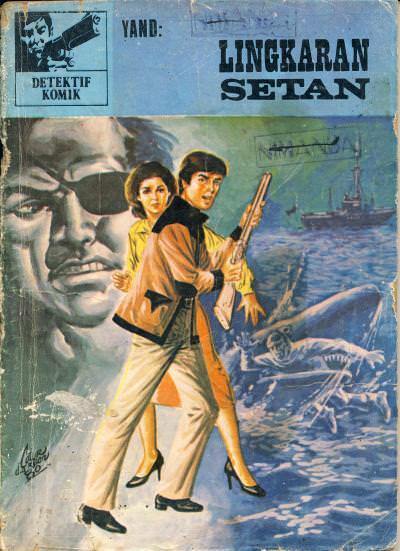 Lingkaran Setan or A Vicious Circle is the lead story in this digest-sized, black and white Indonesian comic. 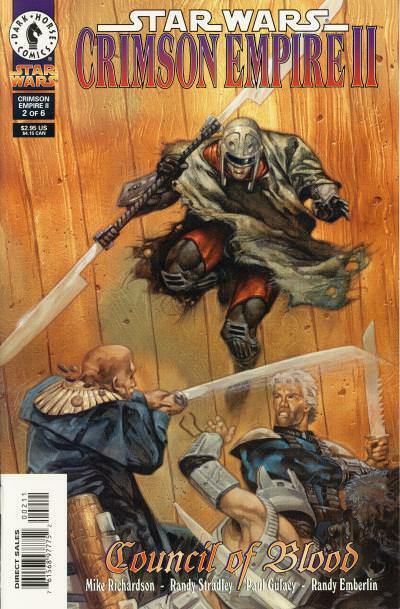 The cover is interesting with a character that looks like Snake Plissken, the main character from the Escape from New York and Escape from L.A. movies. There is also a shark with a man in it's jaws. 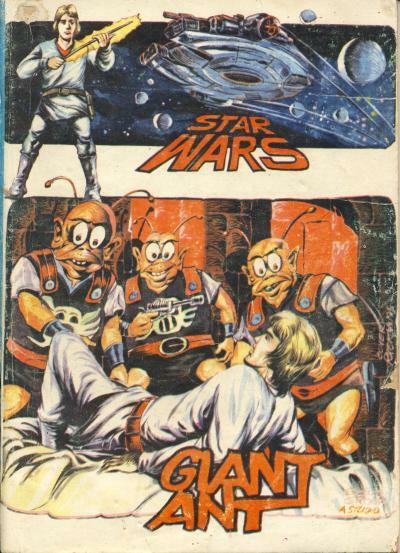 The backup story in this comic is a Star Wars tale titled Giant Ant. It is the same content from the comic with the story's title. 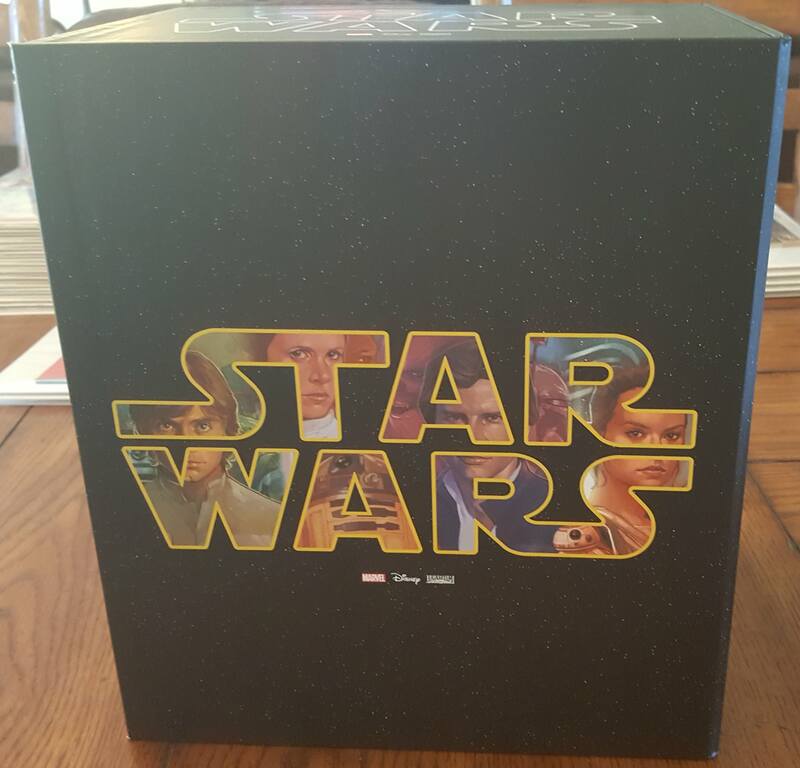 Marvel released an attractive slipcase box set for Star Wars in April 2017. 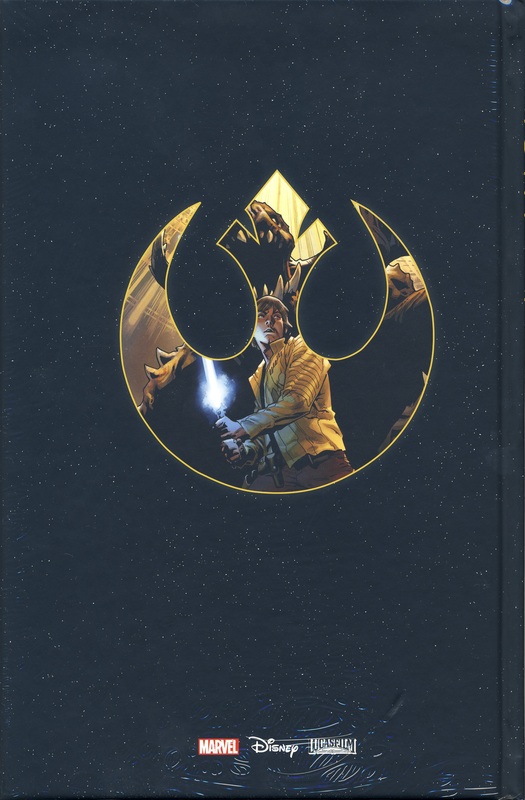 The box set contains twelve hardcover volumes. 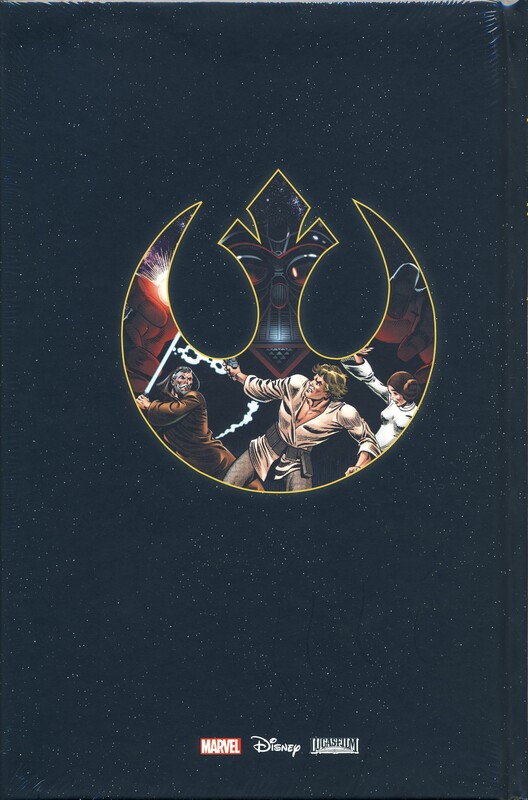 Ten of the twelve volumes were released previously as hardcovers with different covers while two of the volumes combine two previously released hardcovers each. The hardcovers in this set all have the same design that matches the slipcase. 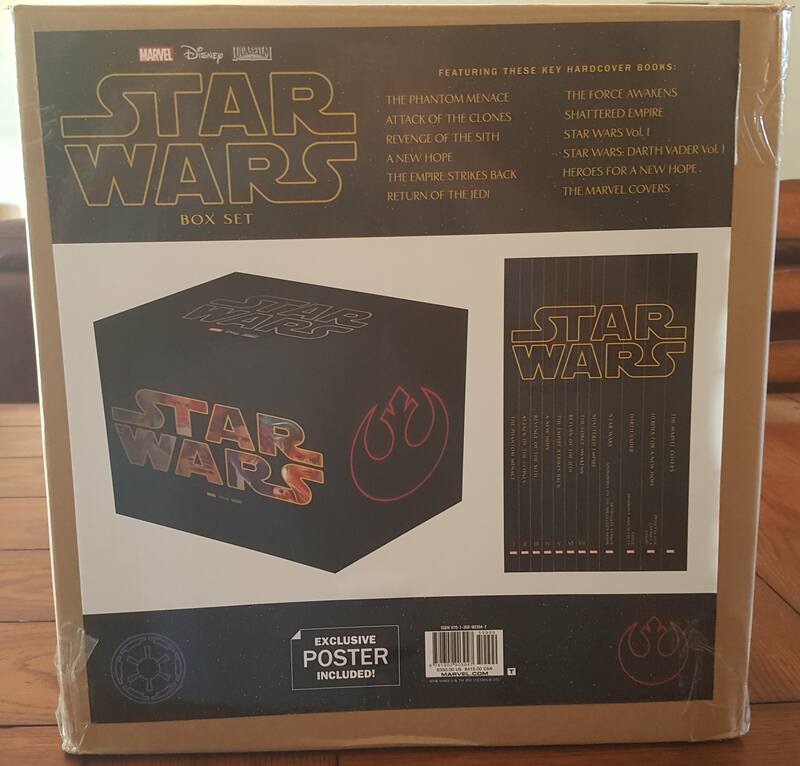 This box set retails for $350. 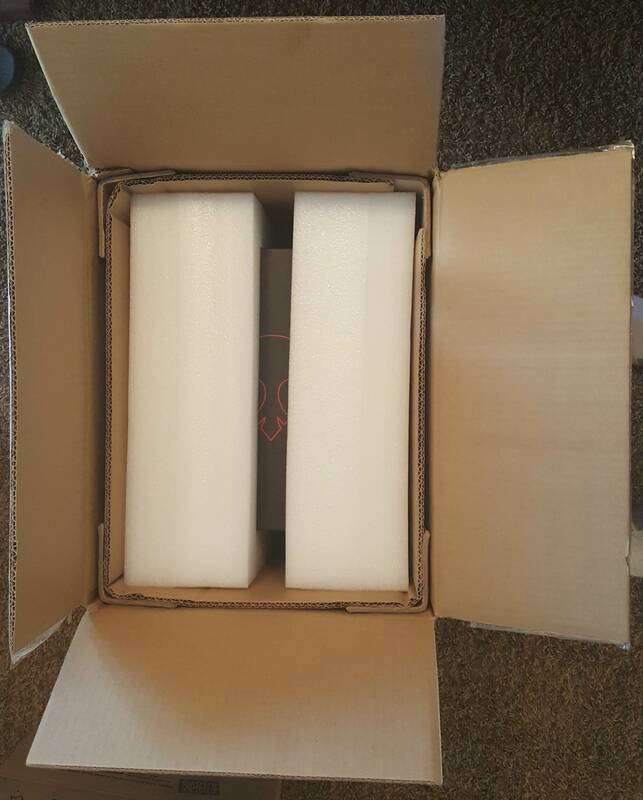 The slipcase comes in a shipping box that identifies the content. The shipping box has ample protection for the slipcase inside. 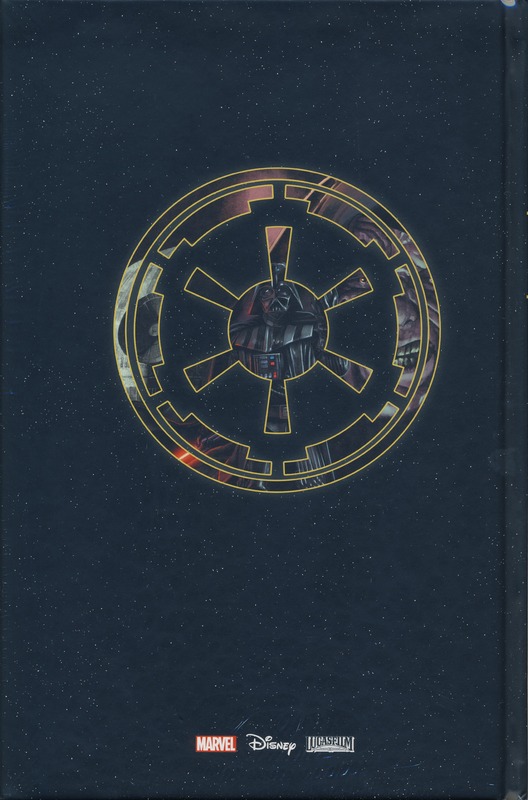 The slipcase is matte black with a starfield background. 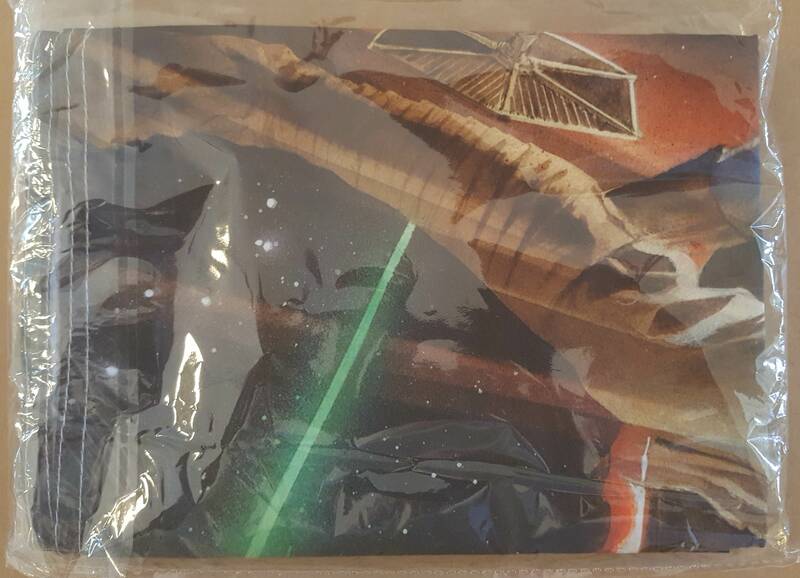 There are Imperial and Rebellion insignia on the sides while the front has the Star Wars logo with the words filled in with images and the back is a montage of artwork from various comics. 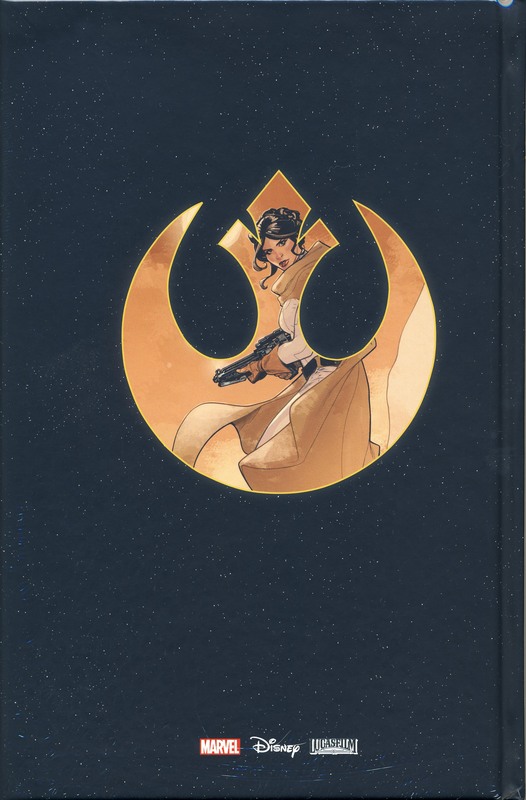 The slipcase's magnetically sealed cover opens to reveal the artwork for the EMP Museum variant cover from Star Wars #1. 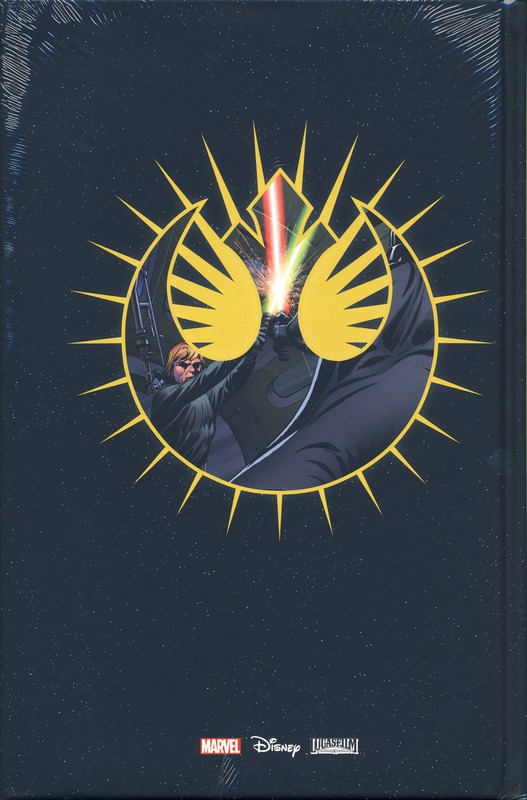 The inside of the slipcase cover is the artwork from the John Cassaday teaser variant cover from Darth Vader #1. 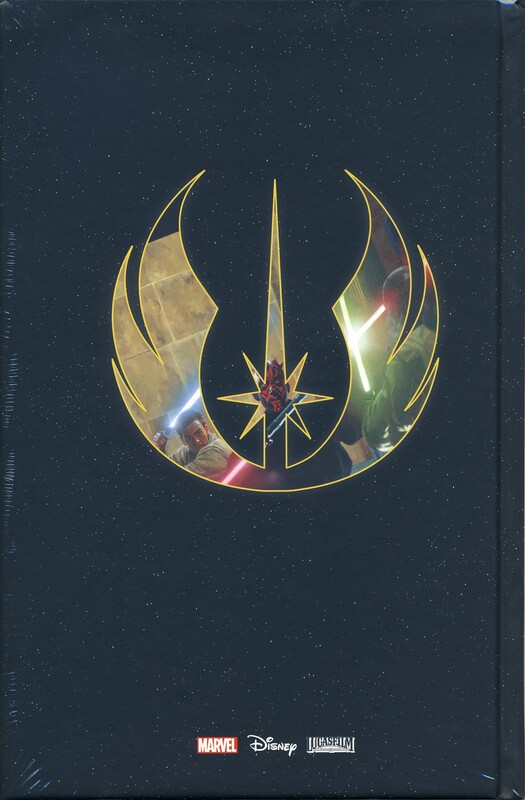 My one gripe with the slipcase is how it opens. 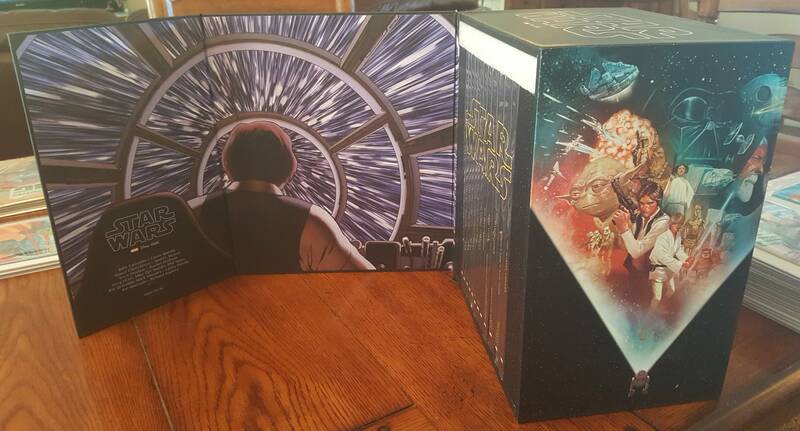 The cover folds back to reveal the books inside. Unfortunately, the books are tightly packed and it would be very easy to tear the cover on the slipcase trying to remove the books. I found the easiest way to remove the books is to set the slipcase on the edge of a surface and to tilt the case forward. You will need to support the slipcase cover to prevent it from ripping. 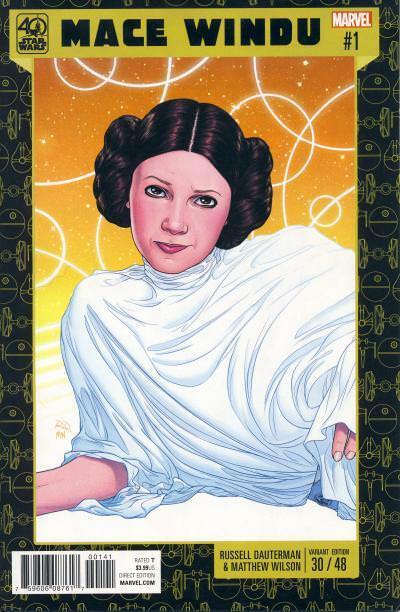 This reminds me of the 2011 Star Wars: The Complete Saga 9-disc blu-ray box set. That too was an attractive set, but it is very hard to remove the discs from the package without scratching the discs. 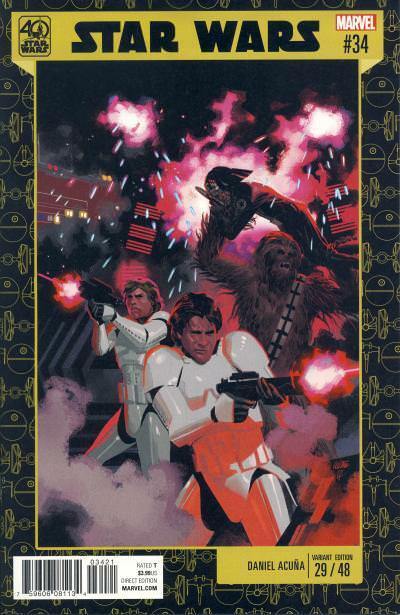 Inside the shipping box is a cloth poster which features the artwork from the Alex Ross homage cover from Star Wars #1. 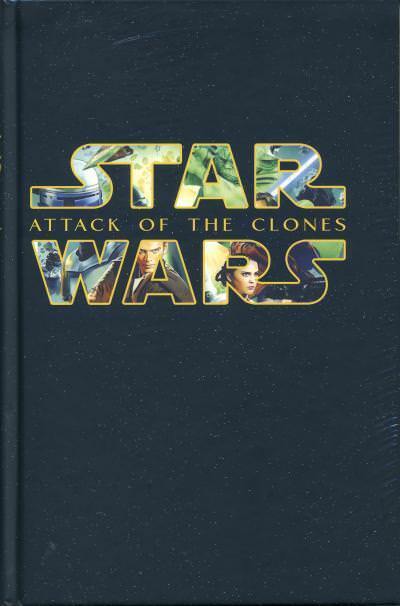 The first 7 volumes in the set are movie adaptations. 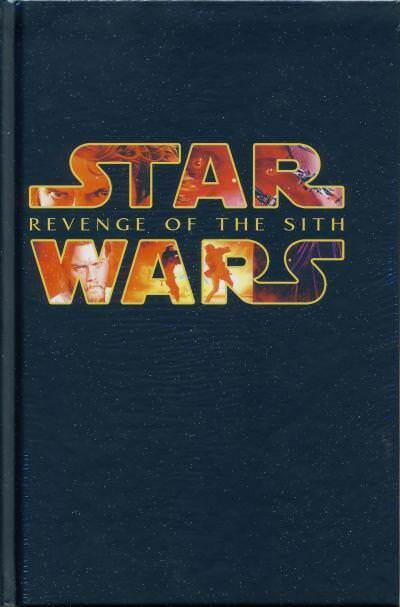 These hardcovers were released previously with different covers. 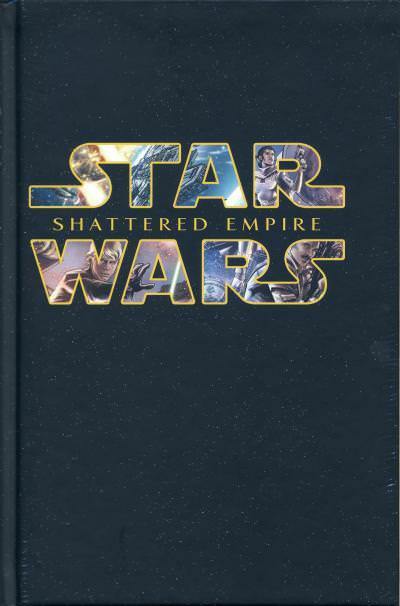 The eighth volume is the Shattered Empire 4-part mini-series. 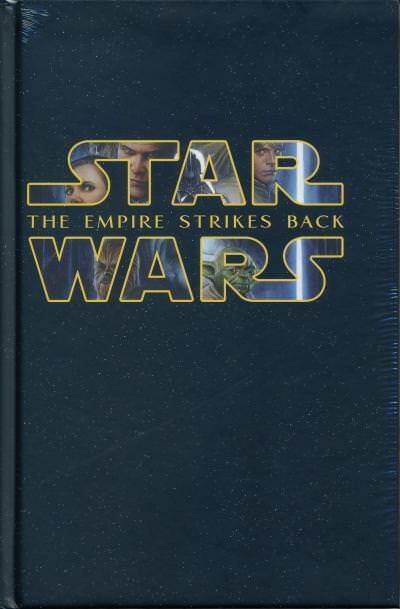 This hardcover was released previously with a different cover. 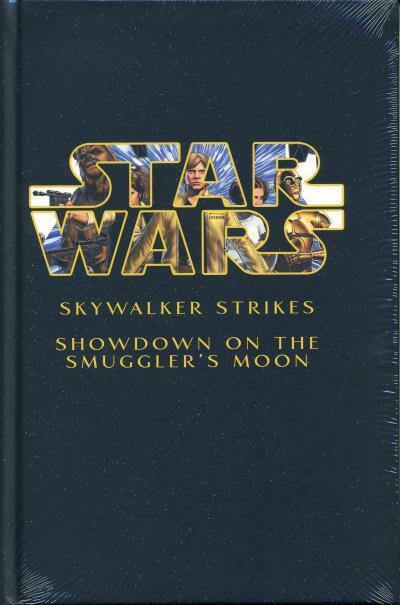 The ninth volume collects two previously released hardcovers containing content from the main Star Wars title, Skywalker Strikes and Showdown on the Smuggler's Moon. 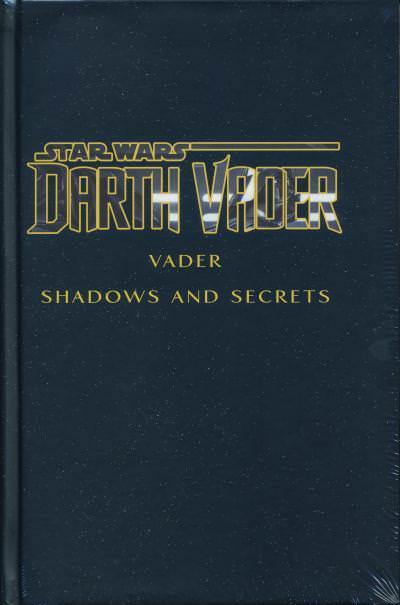 The tenth volume collects two previously released hardcovers containing content from the 2015 Darth Vader title, Vader and Shadows and Secrets. 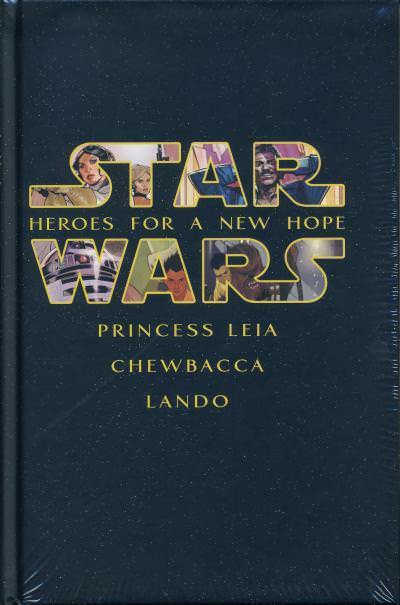 The eleventh volume contains three mini-series: Princess Leia, Chewbacca, and Lando. 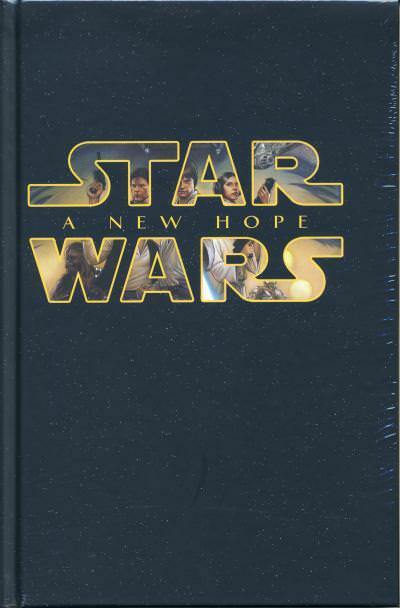 This hardcover was released previously with a different cover. 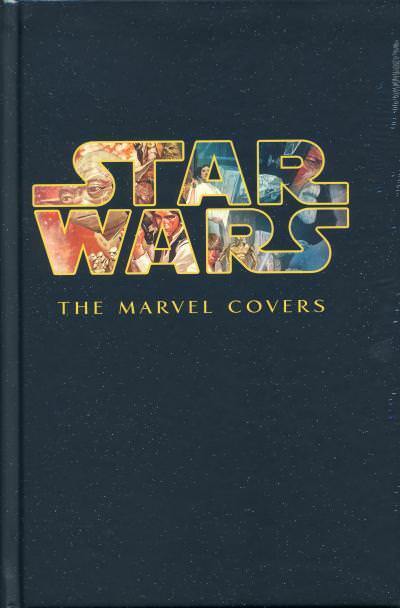 The final volume is The Marvel Covers hardcover that was released previously with a different cover. 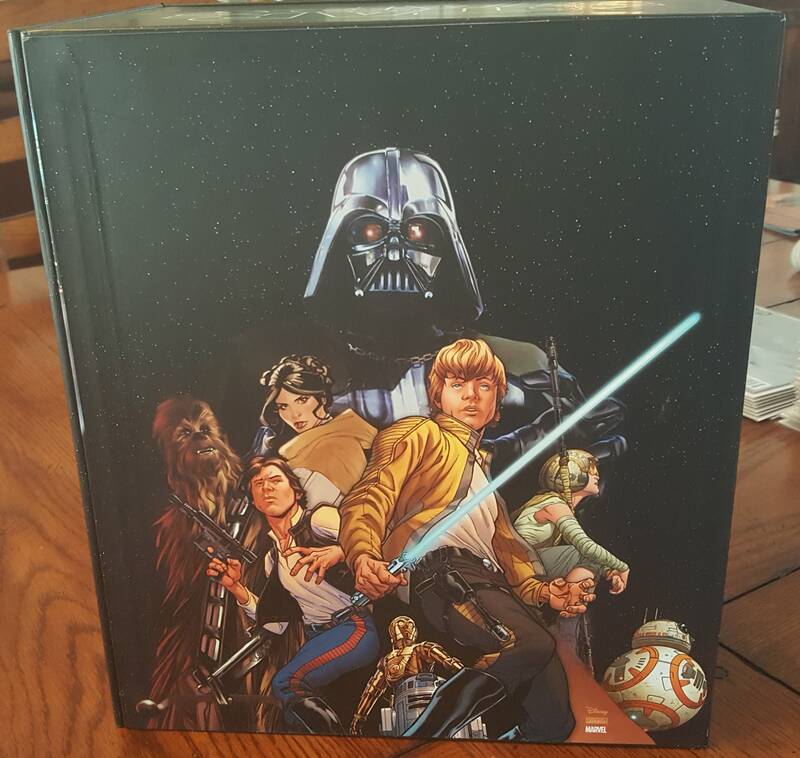 This is a nice box set that collects most of the Marvel hardcovers released to date except for Kanan and Special Edition - A New Hope. 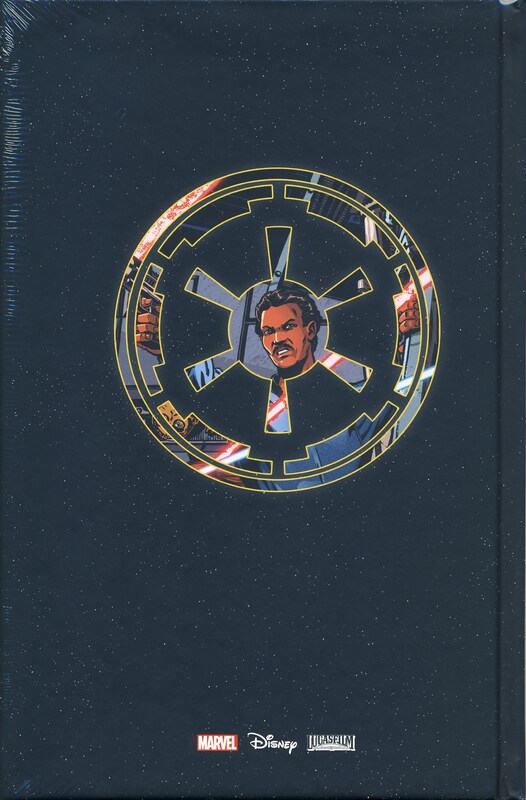 I would have liked this set to include a Kanan volume rather than The Marvel Covers volume. This set is pricey at $350 or just over $29 per book. 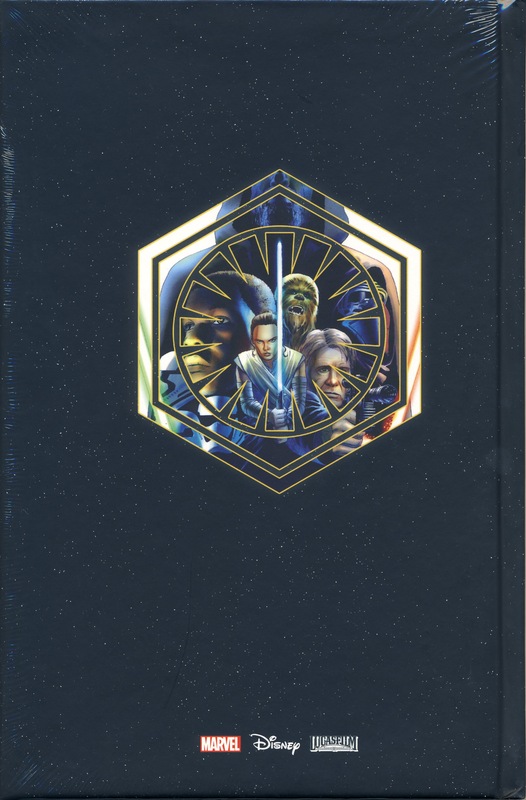 The hardcover collections except for the movie adaptations were released with two covers and if you are a collector who bought both versions, I imagine this box set is a must to keep your collection complete. For everyone else, the singles are much cheaper, usually selling for around $15 or roughly half of what this box set retails for.